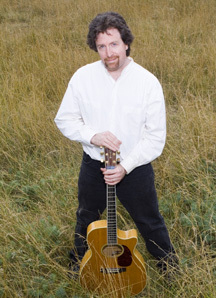 Since permanently leaving his corporate environmental engineering career in 1996, award-winning folk and Americana artist Andrew McKnight's musical journey has traced over half a million miles of blue highways, and earned him a wealth of critical acclaim and enthusiastic fans for his captivating performances and five CDs. While he was in the neighborhood, he stopped by the studio, talked with me and sang a few of his songs. I have the interview and the songs he sung just for you this week on Religion For Life! Thursday, April 12th at 8 pm on WETS, 89.5. Sunday, April 15th, at noon on WEHC, 90.7. Sunday, April 15th, at 2 pm on WETS, 89.5. Monday, April 16th at 1 pm on WEHC, 90.7. Via podcast beginning April 10th.